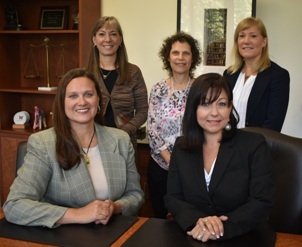 The highly talented people at our firm combine outstanding academic credentials from top schools with advanced training and extensive professional experience, including positions at leading national accounting firms and major corporations. As a result, we offer sophisticated service capabilities typically found only in much larger firms. Our smaller size enables us to give our clients caring personal attention and deliver custom-tailored service. We know that communication and responsiveness are key to building mutually beneficial business relationships. We, therefore, place a high priority on being accessible, staying in touch and anticipating your needs. Also, our smaller size means that our professionals are significantly involved in each engagement, so you never get “lost.” As relationship-oriented people, we are sincerely concerned for your well-being and are always thinking of ways to enhance your success. Please feel free to contact any of us for highly professional yet friendly advice and assistance in achieving your objectives.